The words Tae Kwon Do are made up of the Korean words Tae, which means to strike with the feet, Kwon, which means to strike with the hands, and Do, which means the art of or the method of. Therefore, put together, Tae Kwon Do literally means the art of striking with the feet and hands. It is a very technical art that has just as much to do with developing self discipline, good character and moral ethics as it does with fighting. The Tae Kwon Do that we know today is actually a combination of many different styles of martial arts that have been in Korea for centuries. It even takes influence from arts that originated in countries that surround Korea. 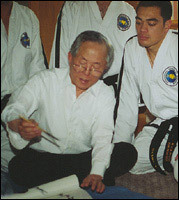 For instance, modern day Tae Kwon Do has been influenced by the rigid linear movements of Karate and the circular patterns of Kung-fu and added to the mix was the Koreans’ native kicking techniques. The other martial arts that are said to have had a hand in the creation of Taekwondo include T’ang-su, Taek Kyon, Subak, Tae Kwon, Kwonpup, and Tae Kwonpup. Judo, also, is said to have lent some influence. The earliest known practice of Tae Kwon Do dates back to 50 B.C. During that time, Korea was split into three kingdoms. These included the Silla, the Koguryo and the Paekche. The earliest form of Tae Kwon Do was referred to as Tae Kyon, and sometimes also Subak. 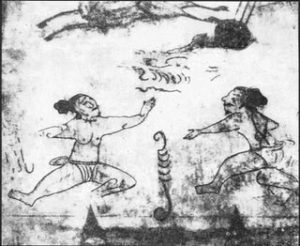 Paintings have been found from this period on the ceiling of the Muyong-Chong, which is a royal tomb from the Koguryo dynasty, that show unarmed people using techniques that look very much like modern day Tae Kwon Do. And even though Tae Kwon Do first appeared in the kingdom known as Koguryo, the Silla warriors are actually the first one credited with spreading the art throughout the Korean peninsula. Silla, back then, was constantly under attack by Japanese pirates. In order to drive the pirates away, Silla got help from King Gwanggaeto and his group of soldiers from the Koguryo kingdom. It was then that the Silla warriors began learning and practicing Taek Kyon by the masters from Koguryo. 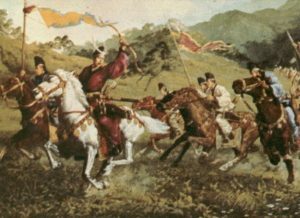 These Sillan warriors then became known as the Hwarang. The Hwarang started a military school for the heirs of Sillan royalty called Hwarang-do, which means The Way of Flowering Manhood. There they studied Taek Kyon, history, philosophy, ethics, Buddhist morality as well as military tactics. The Hwarang saw themselves as loyal, dutiful, trustworthy, valiant as well as servers of justice. They based their education on the Five Codes of Human Conduct which was written by a Buddhist scholar. They also focused on fundamental education, Taek Kyon as well as social skills. and thus they spread Taek Kyon wherever they went. At the time of the Silla dynasty, Taek Kyon was typically used only for sport or recreation. It was then that the name Taek Kyon changed to Subak. That was also when the art changed focus during the Koryo dynasty around 935 A.D to 1170 A.D.King Uijong, the ruler of the Koryo Dynasty from 1147 to 1170, changed the name of Taek Kyon to Subak and promoted it as a fighting martial art.The very first book that was widely distributed about Tae Kwon Do was during the Yi dynasty from 1837 to 1907. That was also the first time Subak was taught to the general public. Until then, only the military had the privilege to study martial arts. Subak almost became extinct, however. During the second half of the Yi dynasty, the country was shook by political conflicts and the major consensus was to use debate instead of military action. That’s when Subak resorted back to becoming a way of fitness and of recreation. Interest in Subak diminished and the art became fragmented and rarely practiced. Then, in 1909, the Japanese invaded Korea and managed to occupy the country for the next thirty-six years. In order to gain control over Korea, the Japanese forbade all military arts and even burned all Korean books. 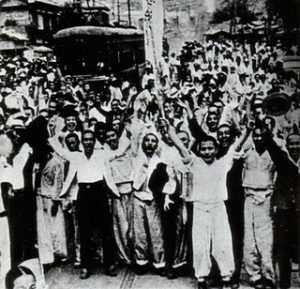 The ban caused a renewed interest in Subak with the Korean people. Regular citizens banned together in groups and practiced the martial art in isolated Buddhist temples. Some even went so far as China and Japan to study train to fight. Then, in 1943, the Koreans became introduced to Judo, Kung Fu, and Karate and people once more gained an interest in studying martial arts. Korea was then liberated in 1945. Right before liberation, Subak, or Taek Kyon, began to be influenced by all these different martial arts and this caused the art to split into different variations. The first Tae Kwon Do school was started in 1945 in Yong Chun, Seoul, Korea. Several schools opened after that from 1945 to roughly 1960. Each school claimed to offer instruction in the traditional Korean Subak. However, each school used a different variation due to the influence of several other martial arts. Therefore, some of these schools gave different names to the arts they taught. These included Soo Bahk Do, Kwon Bop, Kong Soo Do, Tae Soo Do, and Kang Soo Do to name a few. It was also during that time, in 1945, that the Korean Armed Forces were formed. In 1946, second lieutenant Hong Choi began teaching Taek Kyon to soldiers stationed at a Korean military base named Kwang Ju. It wasn’t until Choi instructed Korean Army troops and some American soldiers stationed at the 2nd Infantry Regiment that Americans were first introduced to the Taek Kyon. Choi then attended Ground General School in 1949 at Fort Riley near Topeka, Kansas. There, he provided public demonstrations for the soldiers and that was the first display of Taek Kyon on American soil. Tae Kwon Do history took a major turning point in 1952 when, at the height of the Korean War, President Syngman Rhee witnessed a thirty minute performance by Korean Taek Kyon masters. He was especially impressed when Master Tae Hi Nam broke thirteen roof tiles with a single punch. After that demonstration, Rhee made it a point to talk to Hong Hi Choi to tell him everything he knew of martial arts. Rhee then made it mandatory that al of his military chiefs of staff trained in martial arts. Taek Kyon saw a surge of popularity with schools popping up everywhere. President Rhee then sent Tae Hi Nam to Fort Benning, Georgia to receive radion communications training. Nam gave several martial arts demonstrations while there and received lots of media attention. During this same time in Korea, special commando forces of Taek Kyon trained soldiers were formed to fight against communist forces in North Korea. The most famous of these special forces was referred to as the Black Tigers. The Korean War ended in 1953 and in 1954, General Hong Hi Choi organized the 29th Infantry on an island off the Korean peninsula known as Che Ju Island. This would prove to be the official training grounds for Taek Kyon training for military personnel. 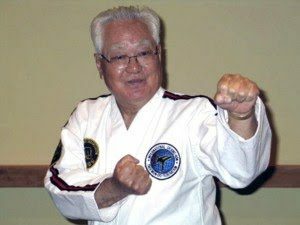 On April 11th 1955, Tae Kwon-Do was inaugurated in South Korea following extensive research and development by the founder Major General Choi Hong Hi, 9th Degree Black Belt. Tae Kwon-Do was introduced into the United Kingdom during 1967, but owing to subsequent political differences arising in Korea, first two then several competing groups came into existence. A number of these were and are dominated by foreign nationals with financial and political interests in what they are doing. A group of the most senior British Tae Kwon-Do instructors eventually became so disillusioned with the situation that in 1983 they joined forces to form the Tae Kwon-Do Association of Great Britain. The TAGB contains some of the World’s top Tae Kwon-Do performers, with many World, European and British champions. Since its inauguration, the TAGB has grown to become the largest and most successful Tae Kwon-Do practising organisation in Britain , with more than 35,000 members training in over 650 schools nationwide. The TAGB is not just concerned with its own development. That is why it has played a leading role in the reunification of British Tae Kwon-Do into one body. In 1988, the TAGB helped found the British Tae Kwon-Do Council (BTC), this being the only governing body of Tae Kwon-Do to be recognised by Sport England. The TAGB also helped found Tae Kwon-Do International, the object of which is to bring together Tae Kwon-Do pracitioners throughout the World. Tae Kwon-Do International is non-political and it doesn’t attempt to dictate to member countries how they must run their affairs. Since its foundation in 1993, Tae Kwon-Do International has grown to become one of the largest World Tae Kwon-Do bodies. Its World Championships are amongst the largest and best organised and it draws its participation from every continent.